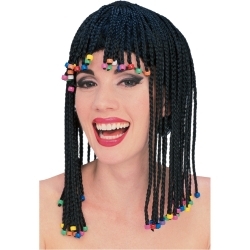 A popular version of a braided wig with beads. Excellent exotic wig for Stevie Wonder or Bo Derek, etc. This is the traditional corn row wig. Available in Black or Blonde.